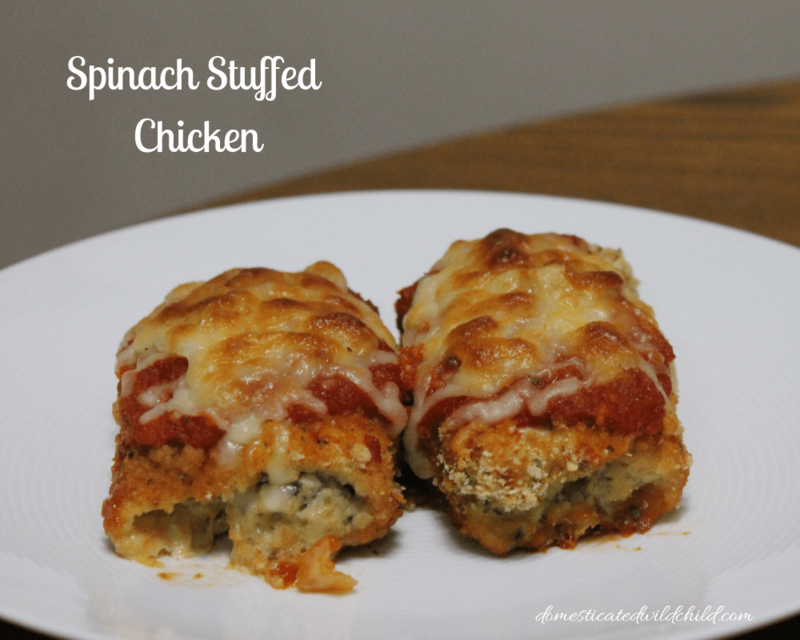 If you are looking for a recipe for your chicken breast that will make everyone happy, you will love this Spinach Stuffed Chicken. 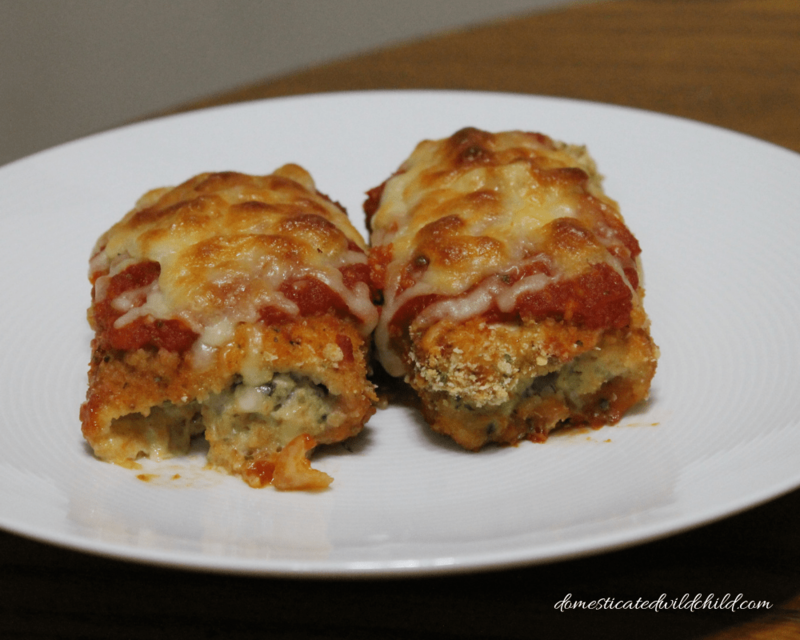 It’s stuffed with ricotta and topped with sauce and cheese. It’s like a chicken lasagna on your plate! 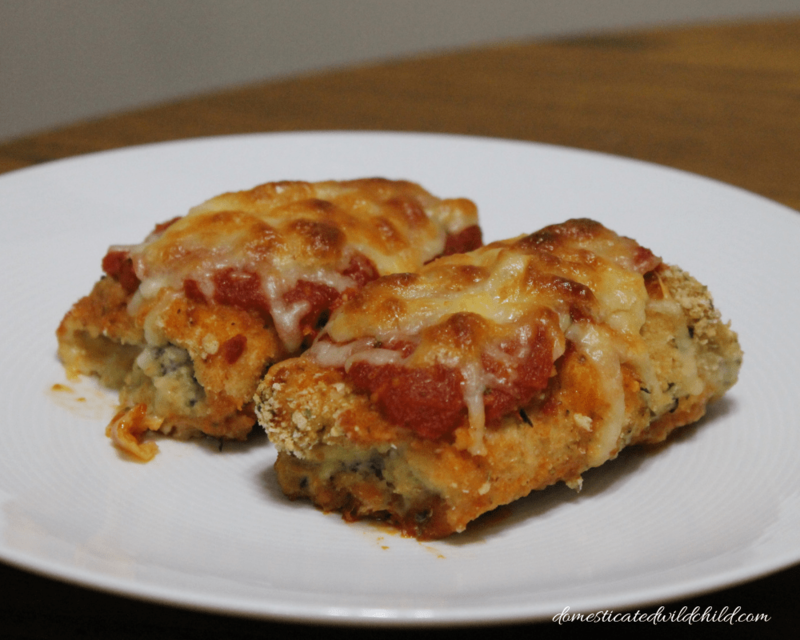 Preheat oven to 425 degrees F. Spread 1/2 cup of marinara on the bottom Cut each chicken in half length wise to create 6 thin sliced breasts, pound till evenly thin. In a shallow dish, combine the Parmesan cheese and the breadcrumbs. In a bowl, mix ricotta, spinach and garlic. In another bowl, scramble egg for dipping. Lay a piece of chicken on working surface. Scoop a bit of the spinach mixture on top and spread over. Roll the chicken up and fasten closed with toothpick. Repeat till all chicken is rolled. Dip chicken piece in egg and then dredge in the breadcrumbs. Place seam side in baking sheet. Top with a scoop of sauce and top with mozzarella. Bake in oven for 30 minutes until chicken is cooked. Serve immediately.